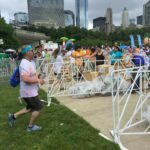 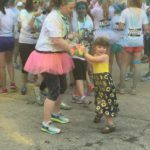 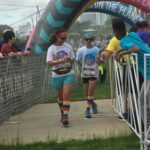 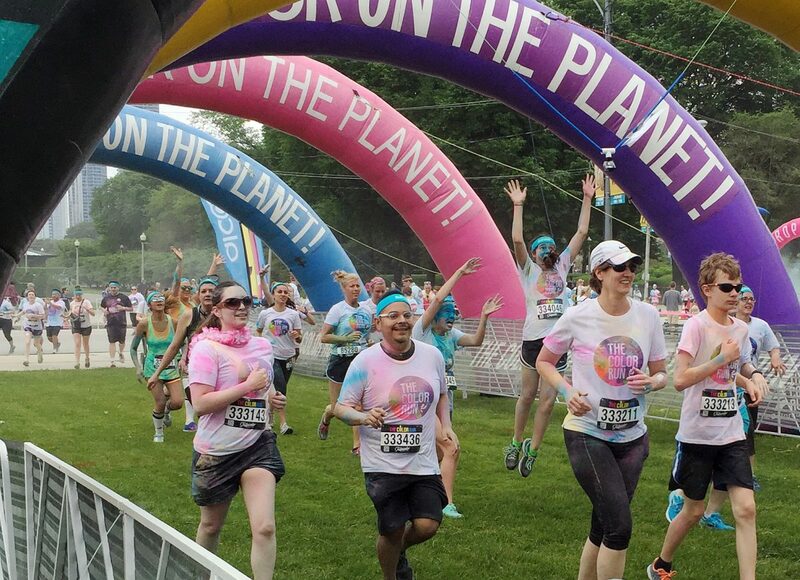 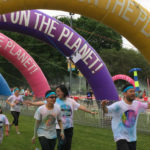 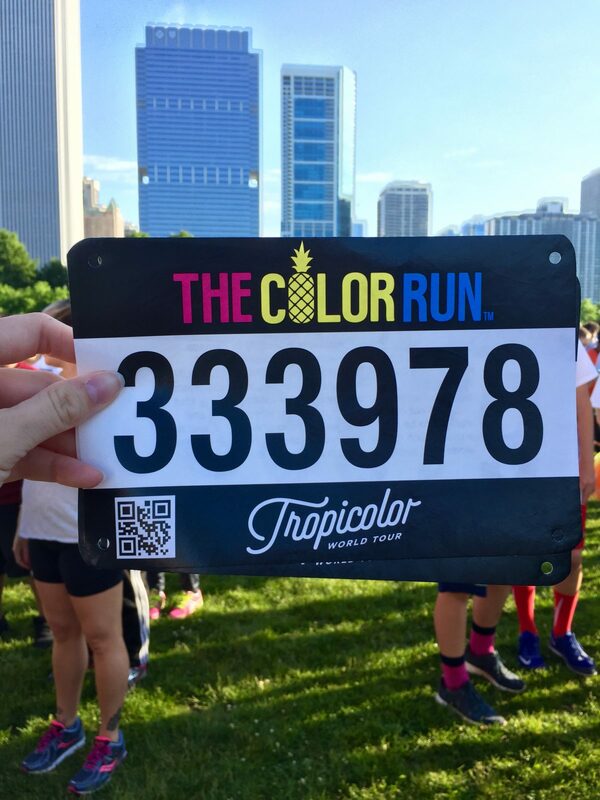 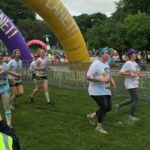 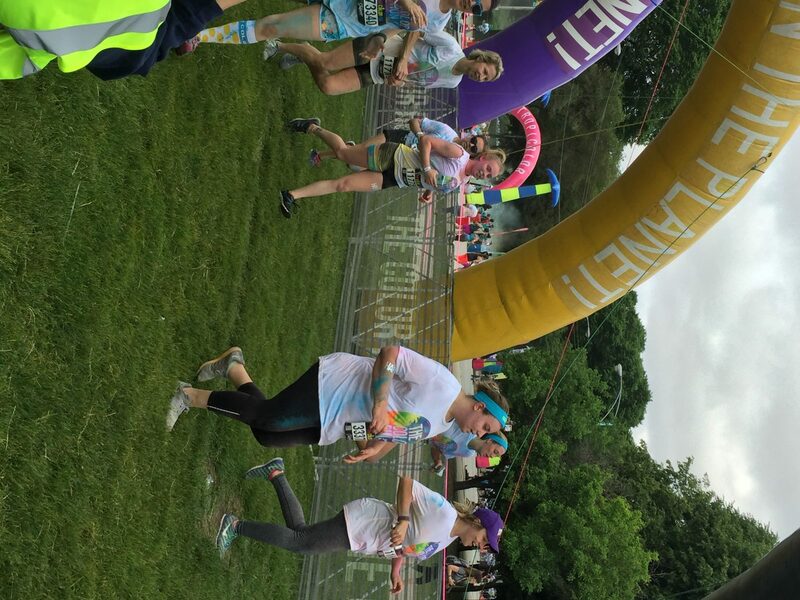 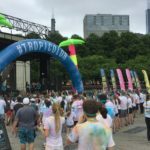 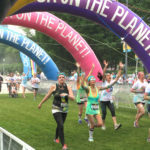 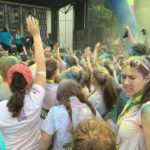 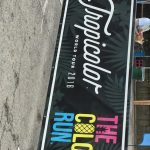 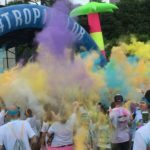 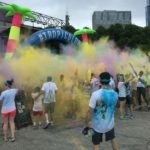 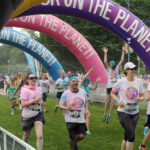 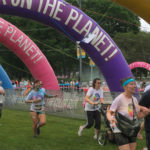 The Color Run Chicago is not your average 5K; participants started out in white clothing, and ended covered in multicolored paint. 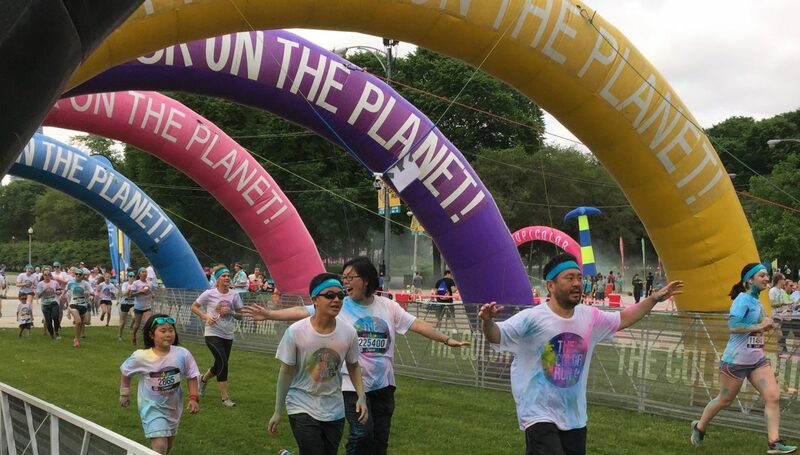 Paint-covered runners finish strong at the Chicago Color Run Sunday. 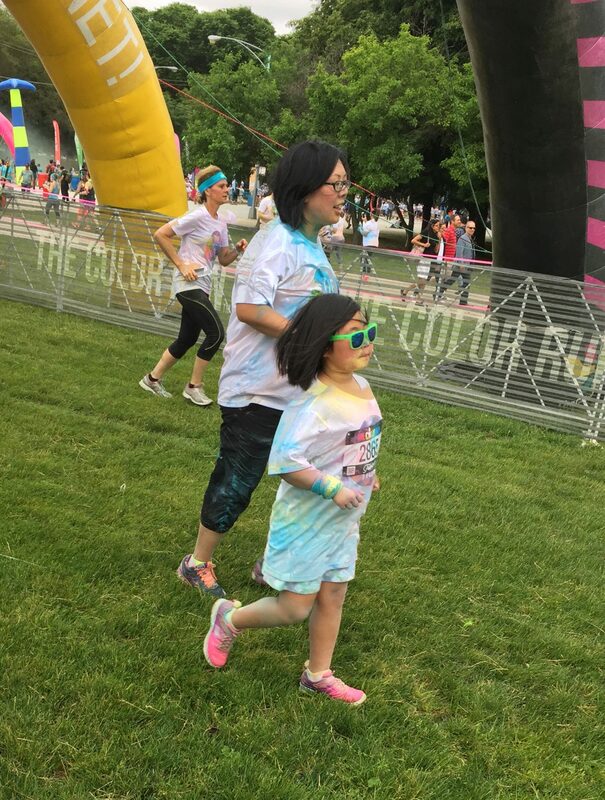 There were a lot of families and children who enjoyed to colorful race. 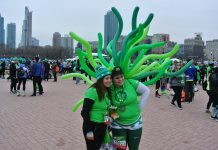 Hundreds of volunteers helped out during Sunday’s festivities. 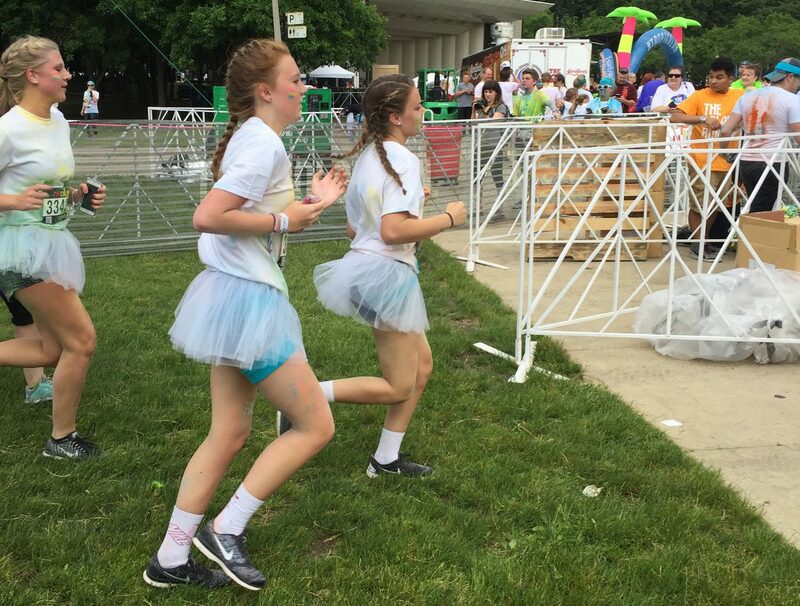 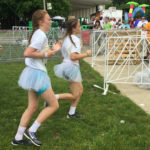 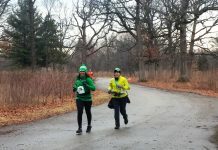 Several participants wore white tutu’s during the race. 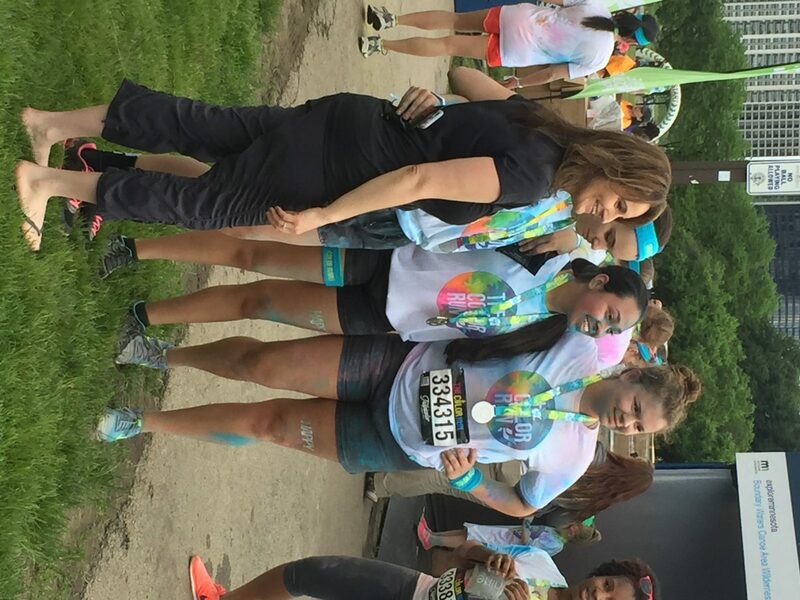 Racers pose for a picture after the run. 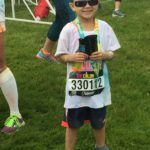 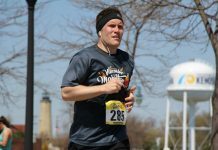 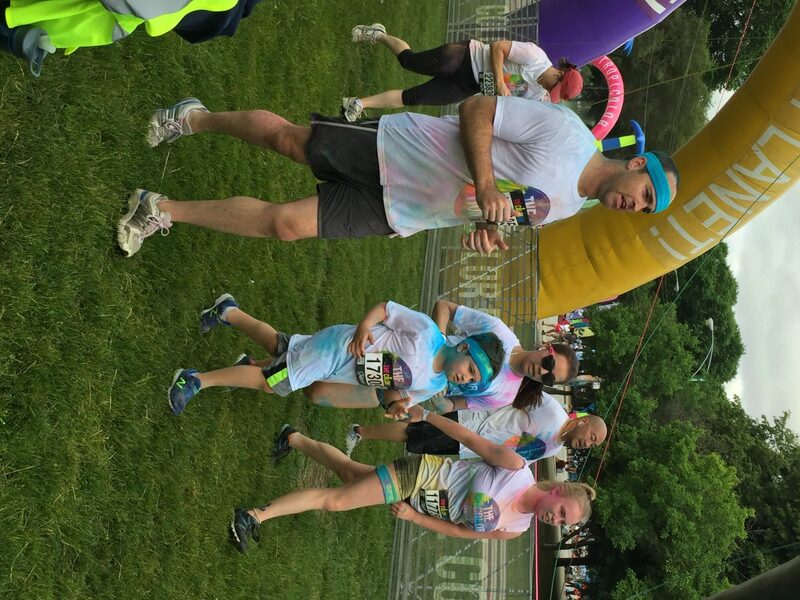 Finishers received a medal and a package of paint to throw for after the race. 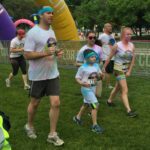 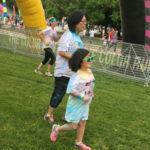 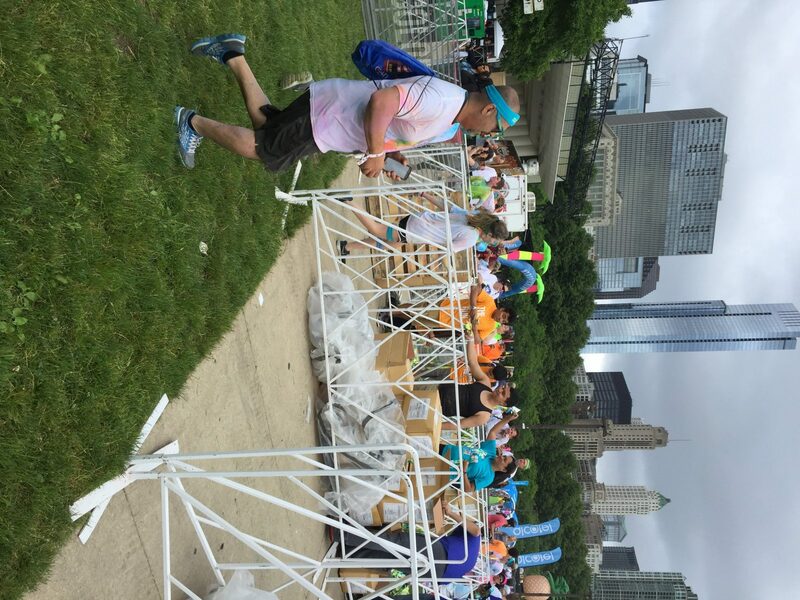 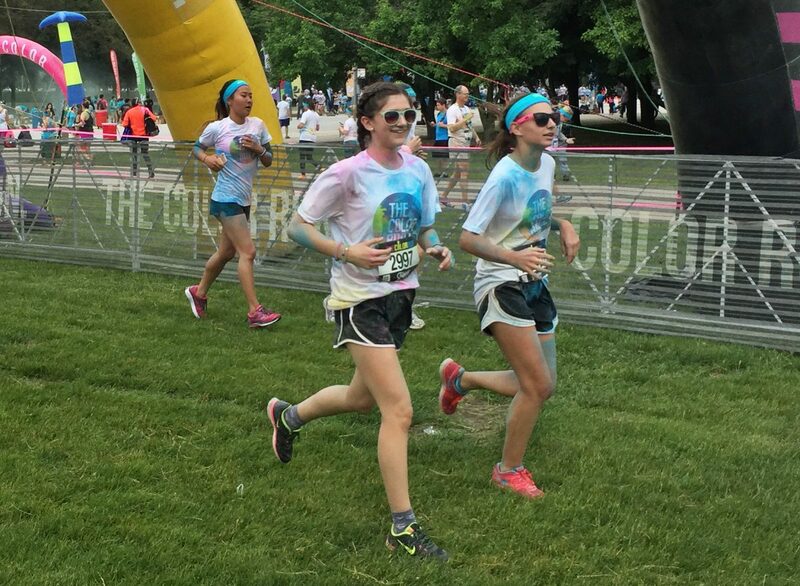 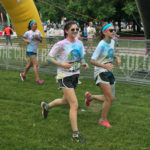 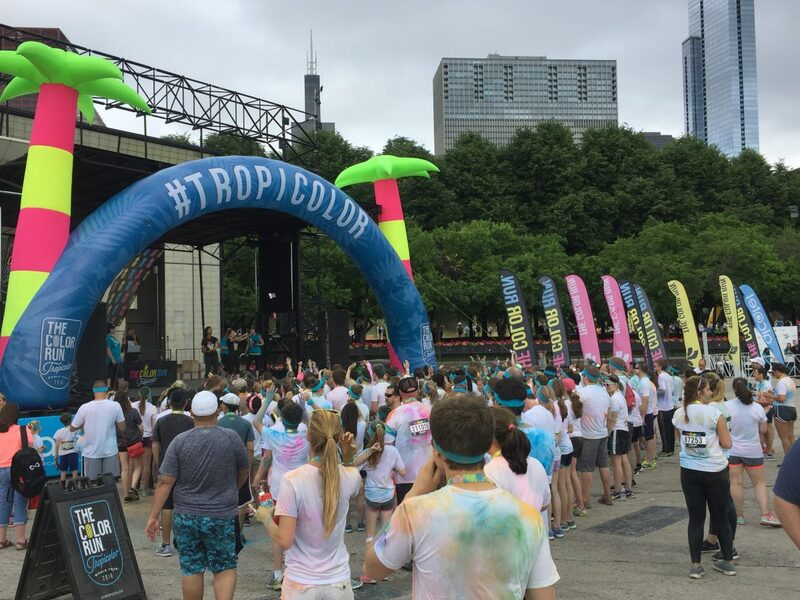 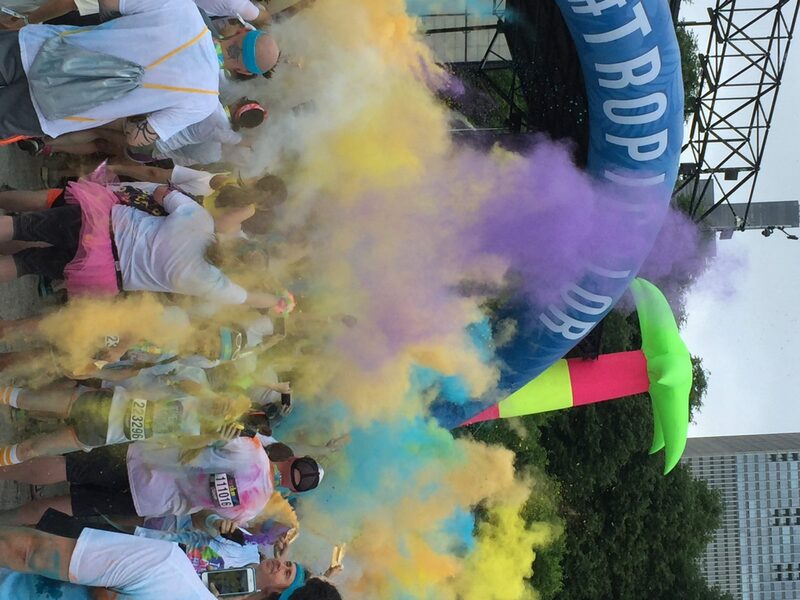 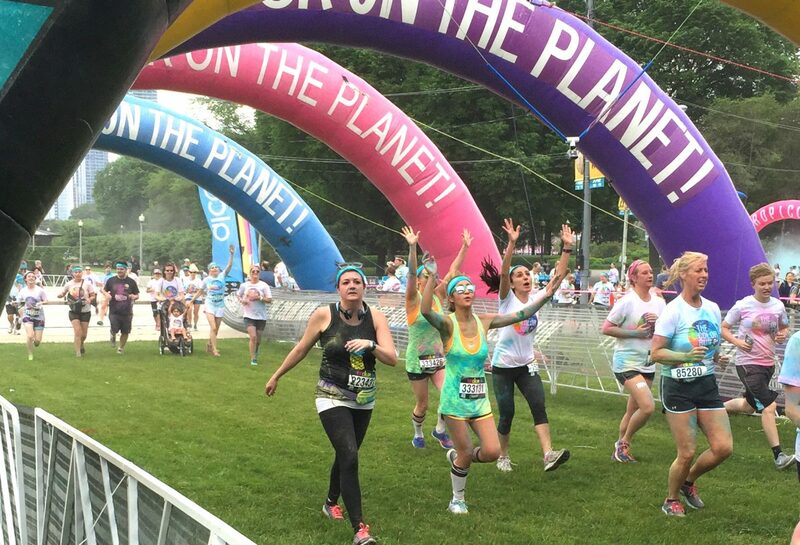 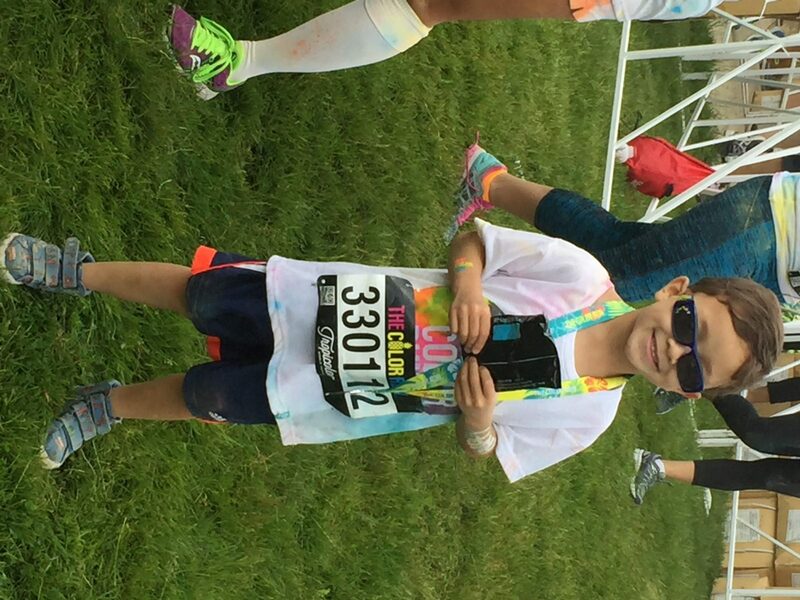 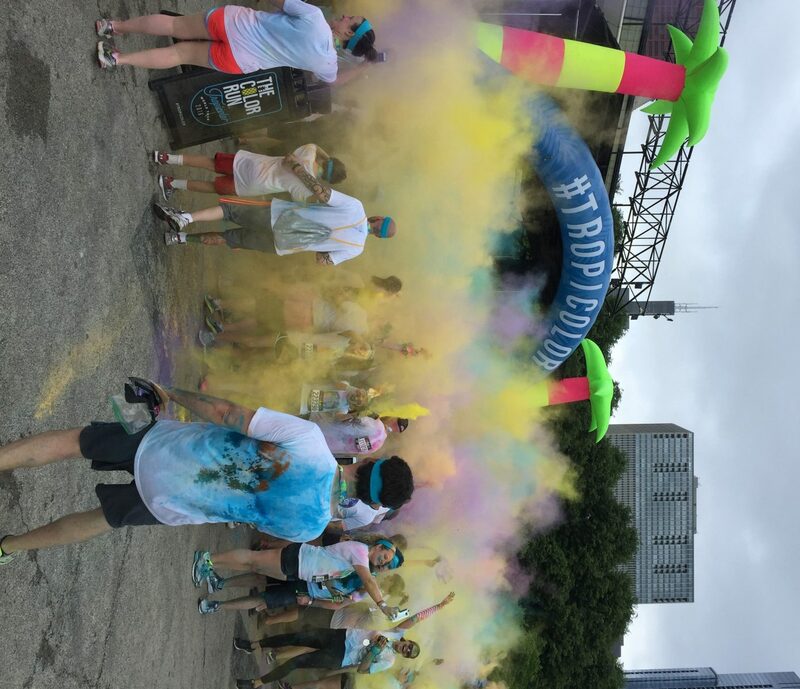 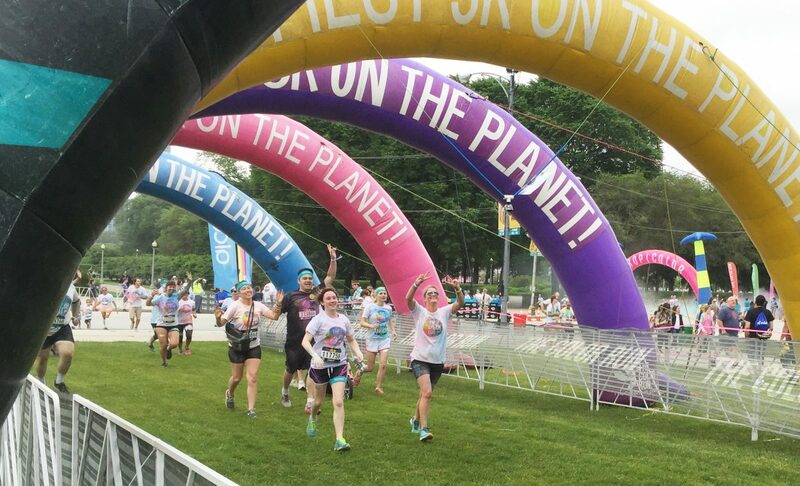 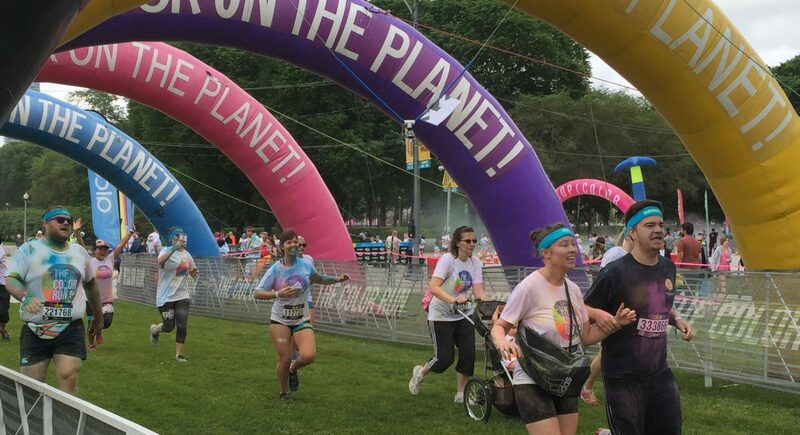 Sunday was the ninth annual Color Run in Chicago. 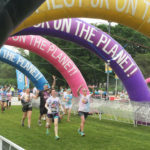 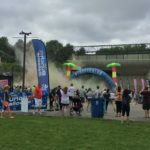 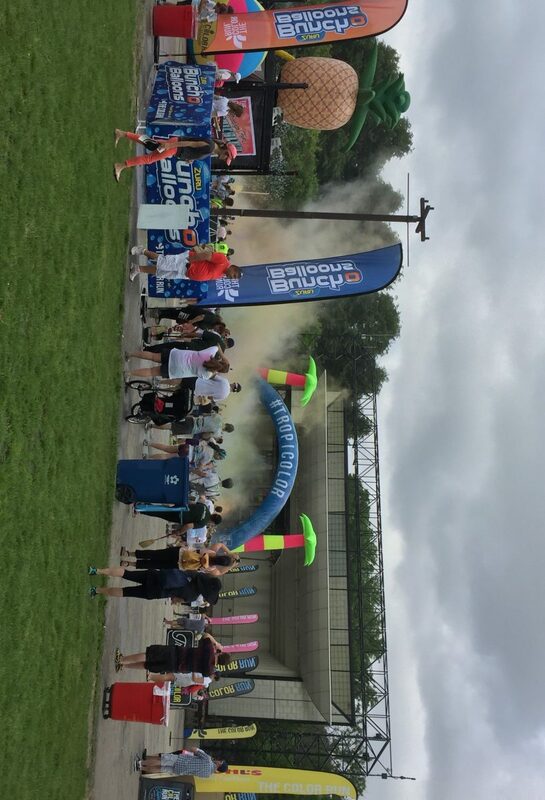 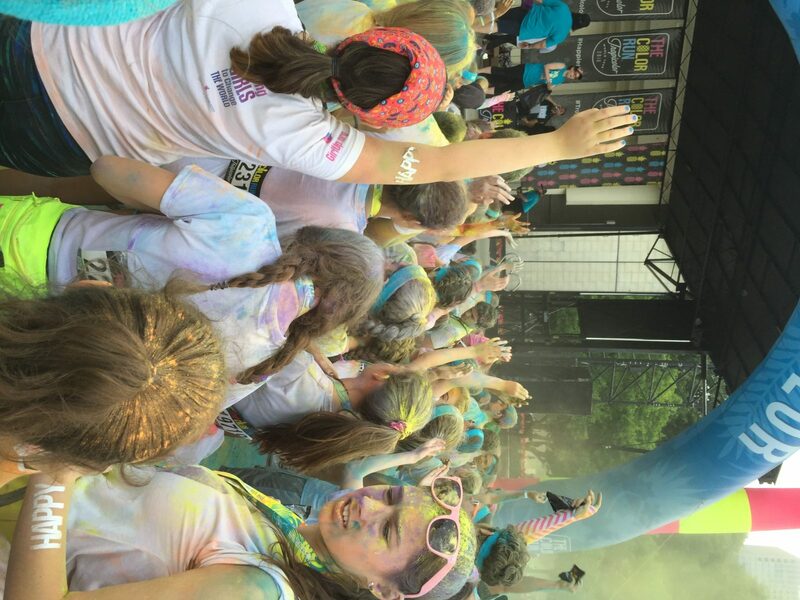 The post-race party was a highlight of the event; volunteers on stage threw free shirts, hats and water bottles to the crowd as they threw paint in the air and danced. 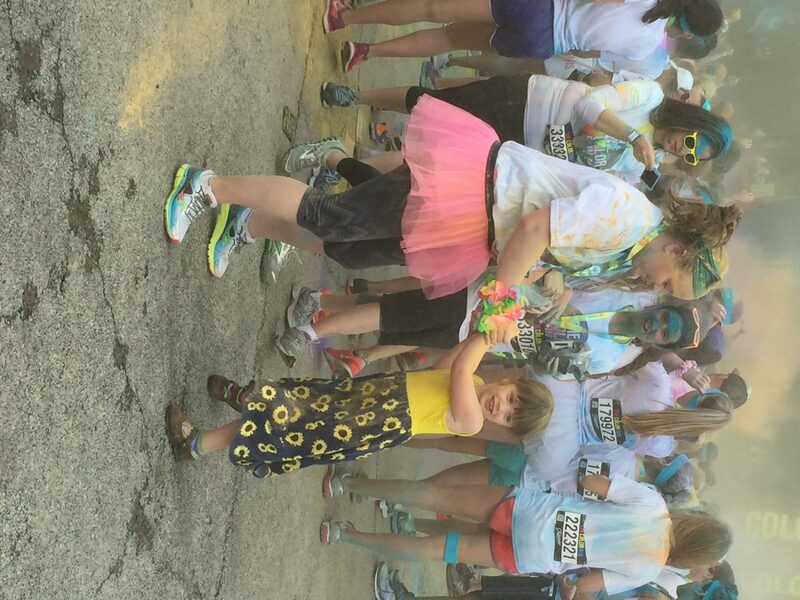 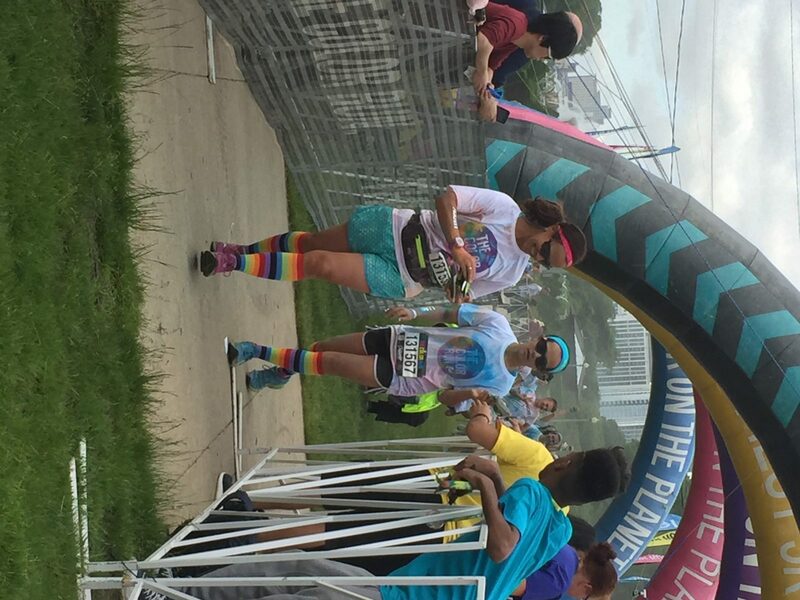 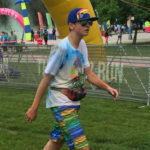 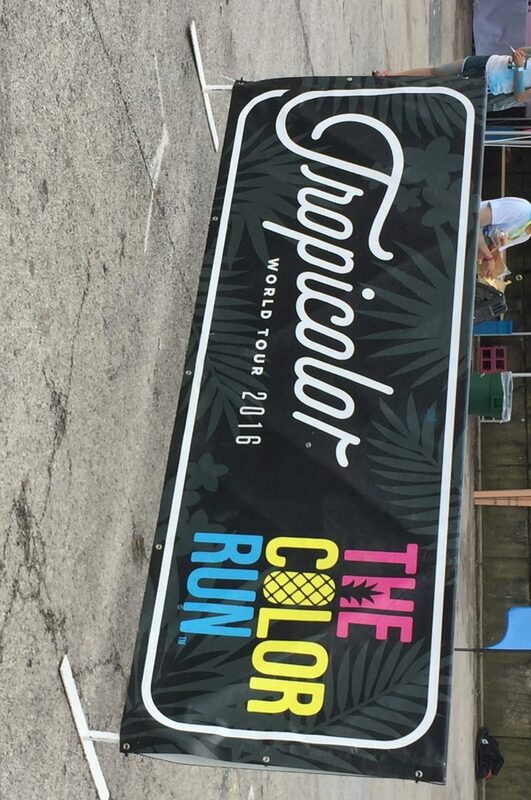 The frequent post-race “color throws” created a colorful environment.